With over 30 years in business Blair Foisy brings a wealth of knowledge in renovations and building luxury custom new homes. 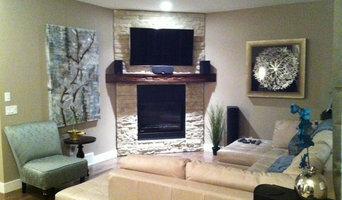 Trademark Renovations is Calgary’s premiere renovation company. Trademark has won numerous industry awards along with the consumer choice awards and an A+ BBB rating. Consistently, over 70% of Trademarks projects are derived through client referrals. Blair has spent years putting together a team of professionals with excellent workmanship that also provide high value and service. Combine that with a team of Project Managers each with numerous years of experience in the renovation and new build industry and you have a reputable company equipped to undertake all sizes of projects from concept to completion. Trademark has a strong focus on customer service, recognizing that the best form of marketing is a referral from customers whose expectations have been met and exceeded. Renovations can be challenging, we aim to alleviate as much of the stress as possible with our project managers on site daily as your main point of contact and supplying weekly project updates to you. Best of Houzz Award Winner 2017 & 2018! 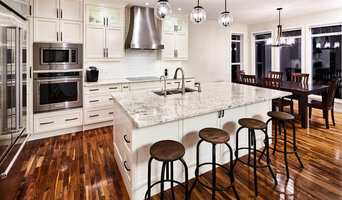 Ravenwood Developers is a custom home builder and renovations expert. We strive to build better homes through science and innovation. At Ravenwood, we take a proactive approach to build and renovate homes that function and serve the individuals that use the space. Our goal is to create spaces that better the lives of the people that live in them. It is through collaborating with a select team of highly skilled and qualified architects, designers, engineers, suppliers and tradespeople who share our unwavering commitment to quality and excellence that we are able to achieve these homes. If you would like to learn about what we do, let us buy you a coffee and tell you more! We service projects of any size or scope, however we specialize in full home or appartment renovations, basement development, kitchen renovations, and bathroom renovations Take us up on a completely free no obligation quote. We start with an initial consultation where we take a look at the space you'd like rennovated, gather your ideas and expectations, and provide recommendations. We then provide a detailed and itemized quote. Once you are ready to start we will give you a project schedule for guidance and keep you informed of progress along the way. Communication is everything for us. Between our trades, our clients and ourselves. Thorough expectation setting between each party allows us the opportunity to have fast turnaround times on our projects. What this means is you get to enjoy your investment or renovation faster than you might have thought! Ask us about our financing options. Your home renovation is likely more affordable than you think. We believe the renovation experience matters, that you can have a gorgeous renovation that is also clean, live-able and low stress. If you want to have a renovation and a real life at the same time, if you value a sane renovation backed by proven systems and processes...you’re in the right place. Melanson Homes & Renovations focuses on designing and building high quality home construction projects. • New Home Construction • Home Renovations • Home Additions • Basement Developments Our experience includes all aspects of the home, we have the knowledge and expertise to turn your home ideas into a reality. We look forward to working with our clients to design and build the perfect project that fits your needs and budget. At Melanson Homes & Renovations, it is our goal is to provide you with a final construction product that exceeds your expectations, and is of the highest quality. In an industry that is ever-changing, we work continuously to keep up with the latest trends, standards and safety codes while adding equity to your home. Because our team has proficient knowledge of everything inside and outside of your home, we know that we can provide a value to you and your family that cannot be surpassed. This is not just another house to us, this is your home. Why are we different? Our motto is: Together we build better. Here at MHR, we truly believe that by working very closely with our clients allows us to build a better experience and project. We are here to help you see your vision come to life, and with the help of our experts, the finished product will exceed your expectations. 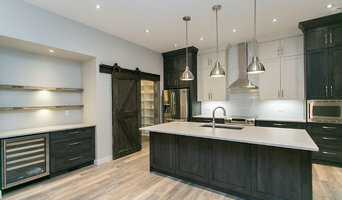 Kay2 Contracting is an award winning Design-Build firm serving Calgary and area, we are committed to ensuring customer satisfaction in every aspect of our work. This commitment is accomplished through our full service contracting company providing quality work, integrity, and on-time service. Kay2 Contracting prides itself on offering and providing its clients with all the tools needed to turn their dreams into reality. This process begins with a free in-house consultation by one of our highly trained renovation estimators who can help you with the design and planning of your project. This process continues with our project management and construction crews assuring that all of our client’s construction needs are met with meticulous attention to detail. It is our purpose to ensure a positive experience that enhances the quality of life for our customers. Alair Homes is committed to quality throughout every stage of the building process and in every detail of your new custom home or home renovation. We guarantee superior work because we perform quality assurance checks at every stage of the building process. Before anything is covered up – even before city building inspectors come to your home – we critically examine our work to ensure that it lives up to our extraordinarily high standards. We are proud of our extraordinary high building standards as well as our renowned customer service. Every Alair Homes custom home comes with a two year national home warranty as well as an Alair Homes guarantee and includes complimentary 3, 6 and 12 month inspections after completion. During our proprietary construction process every detail is accessible to Alair Homes clients online 24 hours a day to view project details, schedules, sub trade quotes, pricing in order to give Alair Homes clients 100% control over every single item regardless how small. Fire Ant Contracting Ltd. is a full service general contracting company specializing in home renovations, additions, custom homes, condominium service and disaster response. Fire Ant Contracting offers a fully supported home renovation service starting with an in-depth home client consultation, design services, a trades pricing site meeting, a detailed project proposal, design selection support and full project supervision. Renovations by Hearth + Home is a full-service home renovation company specializing in remodeling projects for Calgary and area homeowners. Our mission is to provide you with design and service that exceeds your expectations. We pride ourselves on delivering renovations that are anchored in stunning design and communicated through unmatched craftsmanship. Meet Matt, the founder of MLI who is a master electrician with over 10 years of experience. Matt’s father was also a custom home builder for much of his life. This means that Matt had grown up throughout his life around the art of home renovation. Being around the trade for so many years gave a motivated kick-start to Matt’s career in custom home renovation. It was determined very early in life that construction and renovation was in Matt’s blood. Part of what makes MLI unique is the fact that we fabricate all of our custom cabinets and bars in-house. Not only does this insure quality, but it also helps to fulfill the timeline better so that you can have your room back faster. We enjoy the challenge of how roomy we can make a space look. It always surprises us, and we are sure it will surprise you how spacious a small room can seem. After all, your space may not be what it seems. From commercial offices to personal bedrooms to basement developments, our crews can work wonders on your space. Our favorite part of the process is when we are able to pack up our equipment and see the smile on a customer’s face upon seeing the completed project. You might be surprised on how we are able to turn a concrete wall into something beautiful. We are a high quality low volume focused business building new homes and substantial home renovations in Canmore. True North adopts a "3 P" approach to construction; The PEOPLE with the PLAN make a great PRODUCT. People: Customers, trades and team members are all integral parts of the process. Everyone is held accountable for their commitments. This method of communication ensures clarity and success. Plan: A strong construction plan, with all customer selections is required before construction begins. Where required, engineers are used. The permit process is mandatory. A strong plan achieves a great product. Product: True North warranties its product for 3 years. Even after warranty expires, if there is a defect in the product caused by trade error, we will still warranty it. General, or construction contractors, are often known as project managers. They oversee the entire remodeling or new home construction project and facilitate all day-to-day tasks that move it toward completion. A Arrowwood general building contractor will work with your architect to review plan as you build a house and ensure everything is in place before work is started as well as arrange for permits and necessary inspections. While good local home improvement contractors in Arrowwood will have the skills to handle certain tasks onsite, such as carpentry, he or she is also responsible for hiring subcontractors for the majority of jobs, such as electrical work, painting or plumbing. In addition, the general contractor should be on-site regularly to inspect the progress and resolve issues. Here are some related professionals and vendors to complement the work of general contractors: Architects & Building Designers, Interior Designers & Decorators, Landscape Architects & Landscape Designers, Kitchen & Bath Designers, Specialty Contractors. Home remodeling contractors are a must for successful completion of a renovation. Because of this, it's essential that you do your homework before deciding on the right general contractor in Arrowwood as you remodel or build a house. Inspect bids carefully. Was it ready when the contractor promised it? Was the bid for building a home unusually high or low? Each of these things can be very telling: A late bid may reflect timing standards, and an off-the-mark bid could be code for a pricey premium or a deliberate underbid to score the remodeling job. You should call references, carefully read reviews and visit completed projects in Arrowwood, AB to see if they’re what you expect for your job. Once you do secure your local Arrowwood contractors, read the contract very carefully to be sure everyone is on the same page. Find an Arrowwood contractor on Houzz. Narrow your search in the Professionals section of the website to Arrowwood, AB home contractors. 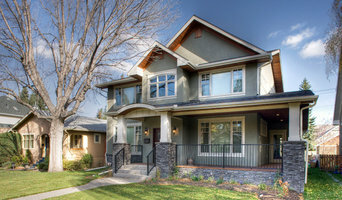 You can also search for photos in Arrowwood, AB and contact the Arrowwood general contractor who worked on the project.